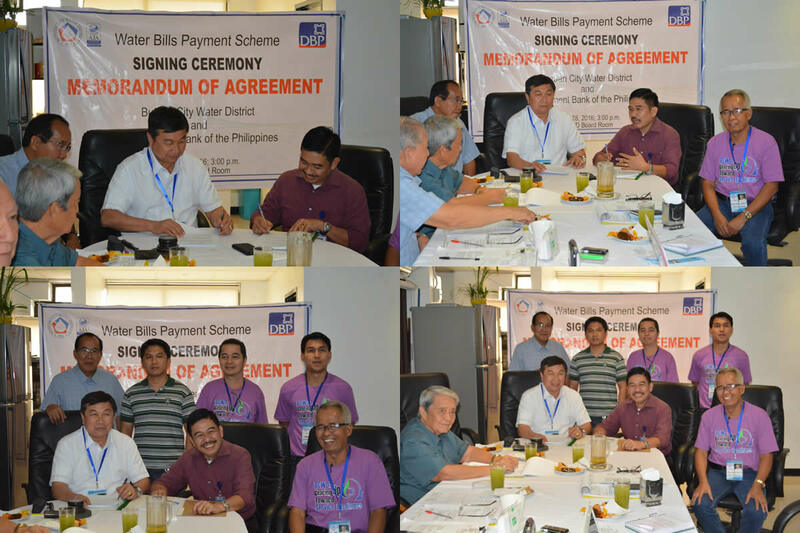 In an effort to improve its services, Butuan City Water District (BCWD), on the occasion of its 42nd Anniversary celebration and commemoration of the 15th Water Consciousness Week, inked an agreement with Development Bank of the Philippines (DBP) for easy payment of water bills at DBP ATMs during the Signing Ceremony of the Memorandum of Agreement on March 28, 2016 at BCWD. The agreement will provide concessionaires easy access to DBM’s ATMs in paying water bills. However, only current bill payments will be accepted. Payments on or after the due date must be made at BCWD Main Office. Likewise, payments for reconnections and penalties must be made at BCWD Main Office. DBP cardholders can now pay their BCWD bills through DBP ATMs nationwide from 8:00A.M. to 12:00MN. For those who have not yet a DBP ATM card, they are encouraged to open an account with DBP.